By Amanda Glenn 24 Comments January 25, 2019 This post may contain affiliate links. The CDC has recently issued guidelines for cleaning breast pump parts. Previously, there were no official guidelines; the CDC decided to publish these after the death of preterm infant was linked to contaminated pump parts. Here is what the CDC recommends, and how to make following the recommendations as easy as possible. More information on the very sad case of the preterm infant is available here; the short version for anyone not wanting to read the story is that the baby became very sick after being exposed to a pathogen called Cronobacter sakazakii. During the investigation, the same bacteria was found in the family’s home sink. It was concluded that the baby was exposed to it after the pump parts came into contact with the bacteria when they were being cleaned in that sink. In this particular instance, the mother soaked the pump parts in hot soapy water for several hours before rinsing them off and air-drying them. What Are The New Guidelines For Cleaning Breast Pump Parts? Instead of washing your pump parts in the sink, use a wash basin that is only used for washing pump parts. This will reduce the chances that bacteria from food makes its way onto your pump parts. When you wash bottles and pump parts, use a brush that you only use for bottles and pump parts. After your pump parts have completely air-dried, store them in a clean container (such as a Ziploc bag or a Tupperware container). Do not soak pump parts. Make sure you take the pump parts apart before washing. Use disinfectant wipes on the pump itself (the dials) and the countertop where you put your stuff, both before and after you pump. That … is a tough one to swallow. In the past, I have recommended keeping pump parts in the refrigerator in a Ziploc bag in between uses, and washing them thoroughly every 12-24 hours. I’m not sure whether or not the CDC considered storing pump parts in the refrigerator as an option. I think these guidelines make perfect sense for moms who pump once or twice at day in their own homes. But it’s hard to know whether the writers considered the fact that some women pump 12 times a day, sometimes when they are not in their homes, sometimes in the middle of the night, and thought about possible safe alternatives to washing immediately after every use. 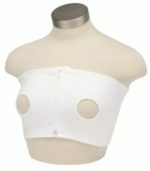 And it’s not that I think these things shouldn’t be encouraged if they will save babies’ lives! Obviously, the health of your baby is the most important thing – it’s why everyone reading this blog is exclusively pumping in the first place. It’s more that I think that if the CDC is going to recommend a very safe but also very labor intensive way to wash pump parts for everyone across the board, it’s important to consider the trade-offs. 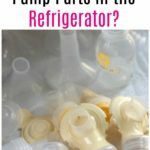 Is it better for a mother to put her pump parts in the fridge between uses, or to wash her pump parts every time as described – and then give up and stop breastfeeding altogether because she can’t stand over a sink and spend 15 minutes washing pump parts in the middle of the night when she is exhausted and has already been up for an hour pumping and feeding the baby? Is it better for a working mom to wait until she gets home to wash her pump parts, or to decide not to pump at work because she can’t fit a wash basin in the work sink she uses, and switch to formula during the day? It depends on whether the risks truly justify the recommendation to wash after every use. Maybe they do. But I would be interested in hearing more about how the CDC came to these recommendations and what alternatives, if any, were considered. So. How to make following these new guidelines easier? 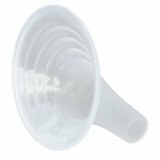 What I’m going to describe here is what I would do in terms of cleaning breast pump parts if I was still exclusively pumping. You should read it with the understanding that I’m a mom who has pumped a lot, but also is not a doctor or a scientist and is in no way qualified to give medical advice. In order to follow the recommendation to wash pump parts after each use, I would buy enough sets of pump parts to get me through a full day. 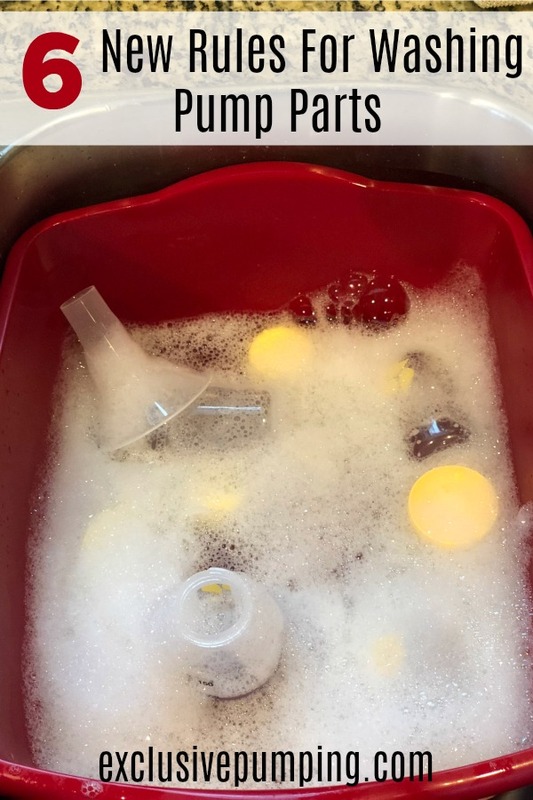 After I used a set, I would put it in the fridge (in a Ziploc bag or wash basin) as soon as I was able to until it was time to wash. Then I would wash them all together in a batch as described in the CDC handout. (I would put them in the fridge to minimize bacteria from pump time until wash time and because you can’t soak them.) I would also sanitize the pump parts in a Medela bag (see below) after hand-washing the batch. Another way I might do this is to run the dishwasher 2-3 times a day, and have enough pump parts to get me through each cycle as well as a Pumpie dishwasher bag. In conclusion – I would love to get answers to my questions above and write a post about it, but until then, this is how I see things. How about you? What do you think about these recommendations and what is your plan? I know we’re all trained to think we’re sanitizing to magically get germs to disappear, but they are literally everywhere. After you sanitize or wash and then put them on a drying rack, that drying rack has germs! I am not saying this to be alarming, but rather change the framework of our motherly desire to keep baby safe and focusing on what is “out there” and “what makes sense.” I agree with a lot of the comments about cleaning around kitchens, bathrooms, and work germs. I am of the camp that – in order to make pumping plausible for me – I store clean, dry parts in a tupperware, I go to work, and when I pump, I do my best to wipe clean the area and pieces I touch when pumping with antibacterial disposable wipes. Then, after pumping, I put my milk in glass Ball jars (a reusable system felt right for me) and I put my used parts back in the now dirty tupperware and into the fridge for another use later. Fast-forward to the end of the day. I take my parts and milk home. I soak the parts in hot soapy water and wash them and the tupperware with a clean rag, let them air dry and start the whole thing over the next day. I know everyone has their own set of conditions, but I bet a lot of working mothers can relate to something like this. We all do our best to do what feels right, and I am really happy to know that there are a number of ways people have interpreted how to live a fulfilling life with their little one(s) and still be able to provide milk! Go mamas! 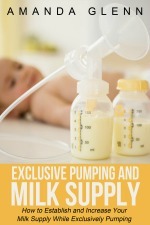 If you can leave breast milk out for 8 hours why can you not leave your pump out? I strictly am a pumping mom and pump 8-10 times a day, if I had to wash and sanitize my pump every time I would go insane. Also would never get to spend time with baby. We need to give ourselves a break. Where does it say not to soak? And what’s wrong with doing so? I submerge my parts in hot soapy water in a dedicated basin until I’m ready to wash. Seems logical but am I missing something? However, in the baby’s case, the mom didn’t use a dedicated basin and didn’t really wash after soaking, just rinsed. So that’s pretty different than what you’re doing. So I feel super embarassed asking this question, but what’s wrong with using the dishwasher on the sanitize/high temp setting? Since some companies sell special tubs to place bottle parts in when dishwashing, I didn’t realize this was against the best practices! I do appreciate comments andntios from others, it really helps! I never thought of a dedicated basin so usually end up setring mine on the side of the counter until I get around to putting them in the dishwasher. Have a sanitize feature just for this purpose. As far as the tiny connecting peices, we have recently switched to using reusable straws and the brushes that come with them are great and I can finally scrub every tiny hole, nook, and cranny on my pump parts. I also use the steam bags to sterilize and the are wet damp afterwards so I really wonder if thats OK to leave in bag since it is sterilized. I may not have time in one spot (work travel) to allow them to air dry, plus I worry about contamination from typical household flies and gnats, as well as dust (home rennovation produces a lot of construction dust) and other contaminants such as sneezing children, etc. Most of these rules make perfect sense to me, I can’t think why would someone put the pump parts directly in the sink and not use a dedicated brush for it. I read somewhere that they also recommended against putting pump parts in the fridge between uses (assuming the person has only one set of parts). I use the Medela quick wipes between uses and every 3 or 4 uses I wash the parts, sterilize once or twice a day; not sure if they have rules against the wipes, but otherwise I couldn’t do it, in fact I just gave up pumping and went back to EBF. It’s too much work!!! And this adds a lot more!!! I read the news and I honestly think that this case happened because the handling of the pump was so unsanitary and careless, and I beleive the majority of mothers have enough common sense and care to avoid things like that to happen, seriously, I highly doubt most moms would put the pump in the same place they wash off food leftovers or let it soak for hours and not sterilize it after. I keep my pump parts refrigerated in a ziploc until I get home. I actually don’t rinse between pumps as I’m not willing to risk dropping my stuff in the bathroom sink. Once I’m home I wash with my bottle brush with dish soap and then they go in a sanitizing bag in the microwave. I either put them in a clean ziploc bag or out to air dry. I wash with soap and hot hot water, then put all parts in the bottle sterilizer to be safe. I agree, for preterm infant who is compromised immune system, definitely need to be meticulous in cleaning. I use a separAte brush for my kiddo and was ocassionally soaking, so will stop that. I usually at the least rinse with water and then store in fridge. Will likely continue to do so. I have been sterilizing weekly, but will try to make it daily. Another alternative to washing by had would be to use the medela sanitizer wipes, especially on the go when there is not a basin. Lastly I tend to pump using Olive oil or lanilon to reduce fiction. Would recommend washing hands well before applying, maybe wiping those items off with alcohol wipe before using, and of course keeping breast clean. If you don’t soak the parts – how do you clean the inner workings of that connector piece? No bottle brush has an end small enough to fit in there. This is a good point! Usually I wash my hands, put soap on my finger, and try to clean it that way. Also the steam bag helps some. Amanda, I can credit your “pop em in the fridge” recommendation with making exclusive pumping seem maybe, possibly, do-able — as you say I can’t imagine doing a full wash after every pump, especially when pumping 8-10 times around the clock in the first few months. My son is now 5mos and after each pump I store the parts in the fridge, then do a complete hot water/soap wash with a dedicated basin/brush plus sanitize in a Medela bag once every 24h. If I need to pump outside the house for any reason I bring a fresh set of parts and make sure to bring a Medela bag for sanitizing if I can’t refrigerate them immediately after use. Despite the new recommendation, I air-dry parts/bottles on bottle racks on a separate baby-stuff counter in the kitchen and leave them on the racks until I’m ready to use them again. As other posters have pointed out, I would be more worried about mildew/mould from storing just-washed parts in a sealed bag/container. I think it is important to note that bacterial contamination in this heartbreaking case could just have easily occurred while washing/drying bottles for formula (since the contamination was from the sink) and I hope this story does not deter new moms from considering EP if traditional nursing is not an option. I have a LOT of sets of pumping parts. It’s expensive, but my sanity and time are worth a lot to me. I throw them in the dishwasher each night on sanitize and start again the next day (if there’s not enough dishes, I use the half load setting to try to conserve a bit of water). I definitely have had to handwash when traveling for work though and you just do the best you can and make it work. My son is seven months now and has two big brothers and is regularly exposed to a horrifying array of germs, so I try to be careful but can’t go nuts about everything. I have also slightly changed the way I handle my pump parts since this release. I currently rinse my parts thoroughly after use and set them out to air dry until I am able to wash everything, but perhaps I will start putting them in the refrigerator. (I used to soak them, based on what we were taught at the hospital!) I wash my parts in a separate basin in hot soapy water (I always did this), but now post washing, all parts go directly into an electric steam sterilizer. Here is my issue – post sterilization, the parts have a lot of condensation on them so they need to air dry. I do not put them in a ziploc bag after they are dried because I find that it takes a long time for the valves to thoroughly dry and I fear closing them up in a bag with any amount of moisture. I have a dedicated shelf in our cupboard for bottles & pump parts and the parts go in their own basket once dry. Curious for feedback on this – I would think that closing them up in a bag could create some mildew or other issues, though I suppose that water is sterile after coming out of the sterilizer. After looking at the CDC handout, I’m wondering if I might use a large plastic container and just poke some holes in the lid to allow any remaining moisture to evaporate. I am fortunate enough to be working from home, so I am able to rinse and wash my parts fairly frequently. I also have two different pumps and three sets of pump parts for each pump, so I can feasibly make it through a good amount of time before I absolutely have to sterilize everything. I usually wash and sterilize in the morning and again in the evening. I regularly wipe down my sink and any areas where I wash bottles and pump parts with bleach wipes. I also run my wash basins and drying rack parts through a dishwasher sanitize cycle at least once a week. 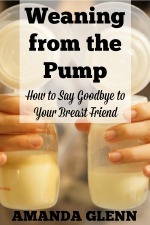 I also find the recommendations a bit onerous and worry this will create such fear and so much work for those of us that exclusively pump, that women will feel that they need to stop pumping and switch to formula. I know for me, when I read the CDC guidelines, my first panicky thought is that I should stop pumping to avoid any risk, but then I thought it through a little more. Honestly, if I was back in the office and trying to do this remotely without access to my sink or sterilizer, I would probably end up giving up out of frustration! Hi Maggie – I do the same as you but after sterilizing I put the pump parts in the fridge made up ready for the next session – they dry out completely but have the extra protection of being refrigerated if I am not going to use it for a few hrs – I sometimes put my spare parts in a container in the fridge. I think this is good practice but I am shooting in the dark myself a bit!! I read somewhere that the condensation in a sterlized bottle is ok to leave (ie dont dry off) so assume it is the same for my pump! I think we can all appreciate the horror the mother of the baby who got sick went through. However, I feel comfortable continuing as I have been. I don’t soak parts, but I do hand wash them in the sink usually right after use (the commuting pump session obviously has to wait until I get where I’m going and I’ve done the refrigerator thing in the past when I’ve been just too dog tired to go another second). I use a bottle brush that is exclusive to bottles and parts (though I wouldn’t be surprised if my husband uses it for other things!) I use plain old anti-bacterial dish soap. And parts either get a quick pat down with a paper towel and a shake before going in a zip lock to leave the house or air dry if I’m home. Basically I feel like if you don’t let your parts roll around where your raw chicken does, you’re PROBABLY going to be fine! This sounds like it was a pretty rare and extreme case. Unless my baby was super fragile or immuno-compromised, I’m not going to have a panic attack over my non-CDC approved methods. Everything will be fine! I will definitely change some of my practices in light of these guidelines, but like you said, Amanda, a lot of this is truly onerous for someone pumping a lot and/or at work. At home we wash promptly and air dry (but not move to Ziploc/tupperware when dry, which is something I’ll try to do now, for lots of reasons, and I’ll try to use a basin instead of the bathroom sink). At work I use Medela/Babies R Us quick-clean wipes, air dry, and sanitize in a microwave bag at the end of each day; I’ll try to not leave them on my desk overnight now. Of course the CDC is taking the most conservative approach possible out of an abundance of caution. But it’s also worth considering that the infant in this tragic case was still a fragile, medically compromised preemie in the NICU. Should we all follow 100% of these steps to the letter? In an ideal world, yes. But being super-strict all the time is not realistic for everyone. Healthy babies born at term have more developed immune systems and moms need to make choices that balance cleanliness and sterility with their ability to make pumping work successfully for them.